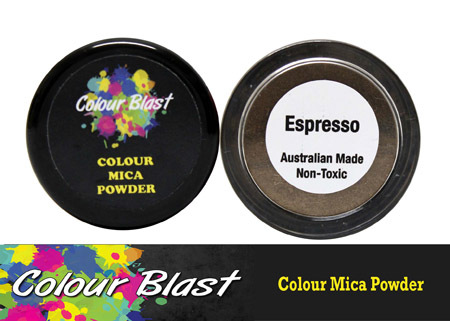 This product is a shimmery mica powder. Directions: For use on paper, cardstock, chipboard, wood, metal and other surfaces. Sprinkle onto project surface and spray with water to dissolve, allow to dry. Sprinkle powder into mediums such as Colour Blast Heavy White Gesso to colour this product for desired finish. Can also be mixed into other art mediums. Mix into water to create a spray. Acid free, non toxic, non-flammable.